You probably should have already clued into the fact that Humboldt's most fabulous annual weekend is imminent. We are in the midst of Humboldt Pride Week which has already included a flash mob, softball games, benefit dinners and a boat party. Woot. Tomorrow is the main event. 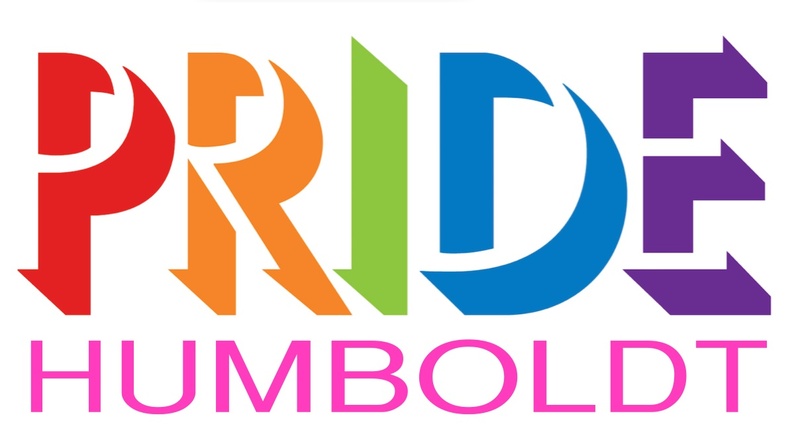 The Humboldt Pride Revolution Parade and Festival will dominate Eureka all day. The sure-to-be colorful parade starts at 11:30 at First and C streets and will be led by Grand Marshall'd by Queer Humboldt's Todd Larsen. The procession will make its way to Halvorsen Park for the festival portion of the day which features your standard booths, food and beverage as well as sights and sounds by Caravan of Glam and Pressure/Anya. Palm Lounge: The Glamorous Pride After Party will feature continues fabulousness courtesy the aforementioned Caravan. The Siren's Song Tavern: The Rainbow Glow party will feature the lovely Red Carpet Girls+ providing dragtastic delights. HumBrews: Where's Queer Bill hosts the Rainbow Weekend Kickoff Dance Party with DJ Razorburns head of the booty shaking department. Abruzzi: Pressure/Anya drop beats on Fabulous Friday proceedings. Dress nice. Short form adult puppetry performance featuring live music by Tim Gray and Marla Joy and puppeteers David Ferney, Sean Powers, Mark Dupre, James Hildebrandt and special guests Mookie Cornish and Xstine Cook from the Calgary International Festival of Animated Objects! Formerly Anna and the Underbelly. "Entranced by the sound of her grandfather's violin, Anna started learning in the first grade and never put it down." Local psychedelic jazz band High Crimes will be teaming up with fellow musicians and friends Wrecks Goliath. Hosted by Where’s Queer Bill and featuring DJ Razorburns. Skaters and BMXers are invited to bring their boards and bikes to session the new bowl. Blue Lake Roller Rink / 6:30-9:30 p.m. Present your student ID and receive $1 off admission. Humboldt State University Native American Forum / 7-9 p.m. The North Coast Storytellers' present acclaimed storyteller Elizabeth Ellis, the warm and welcoming Mary Lawrence and the celebrated American Indian storyteller Frank Lake. Two day event. Redwood Region Audubon Society / 7:30 p.m.
Pablo Elizondo will speak on "Conservation & Science of Costa Rican Birds." Elizondo is an accomplished photographer and executive director of the Costa Rica Bird Observatories. Featuring up and coming Bay Area star Ivan Hernandez who will be bringing some friends along. England, 1605: Shagspere is commissioned by the prime minister to write the “true historie” of the Gunpowder Plot. And it must have witches! A witty and high-stakes political thriller with contemporary resonances, this intriguing play gallops from the great Globe to the Tower of London. Blue Lake Casino and Hotel / 9 p.m.